This week I participated in a press tour of Earth Fare’s new location in Concord, NC. 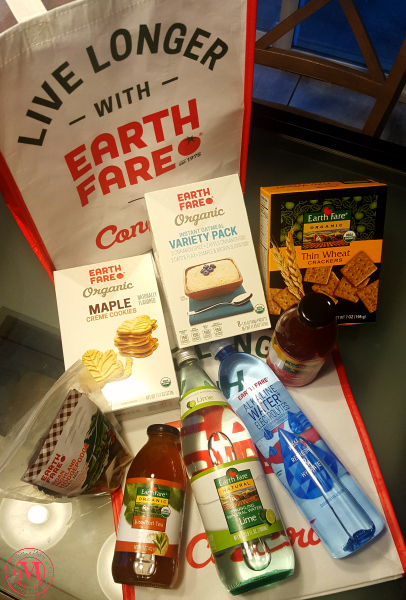 Here are five things I didn’t know about Earth Fare, but now solidifies the healthy grocery store on my list of places to shop. All of their private label products are GMO-free. This means I don’t have to worry about reading Earth Fare brand labels to see if there is some sneaky GMO in there. I LOVE this. The kale lemonade is EVERYTHING! I tried it because our tour guide said it was a favorite, and was expecting it to be okay. It far exceeded my expectations. As in I may or may not be buying multiple bottles, just for me. These community advisory board tags highlight products that the board had a part in bringing to the store. 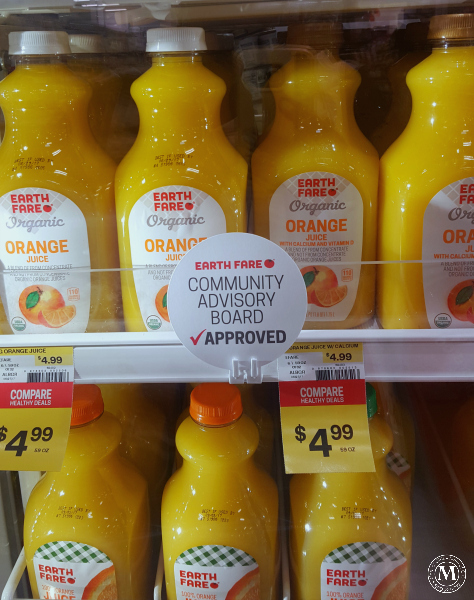 The board is built from community leaders and influencers, and they offer insight and suggestions to help Earth Fare serve the community better. There are local products in the store, too. They are marked with this “Love LOCAL” tag. 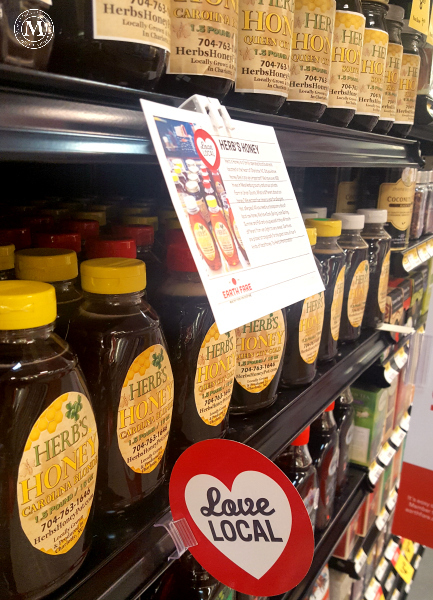 By the way, this Herb’s Honey was soooo good. I had no idea honey’s sweetness could be based on the time of year. Spring is milder, while winter is sweetest. Summer was my favorite, :-). There are a number of things you can buy in bulk. There are the things you expect – nuts, oil, peanut butter. But there are other things, too. 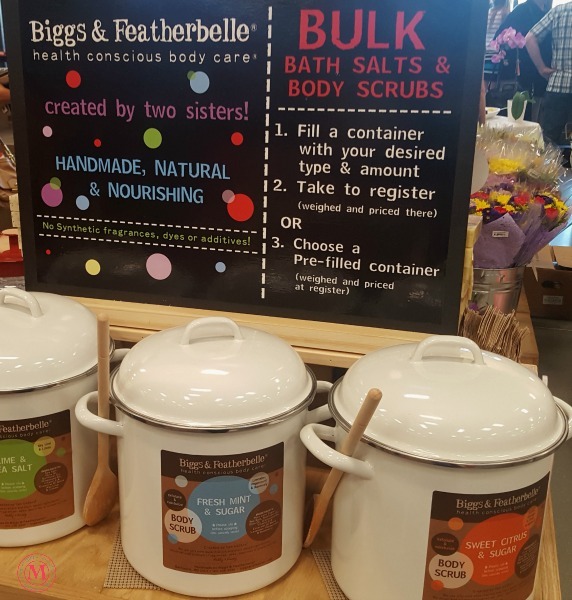 Like cookies and salt scrubs! Now for the fun part! As a participant in the press tour, I was given a $25 gift card to share with my readers. 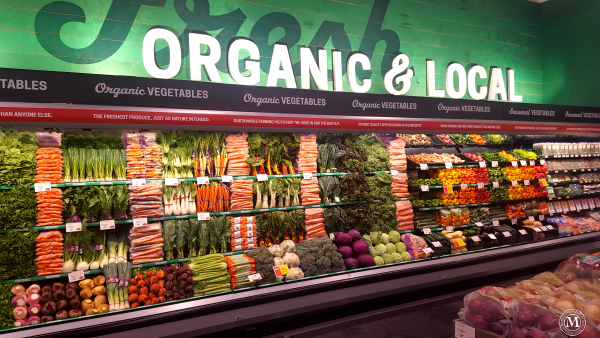 So, leave a message below sharing one of your favorite things to buy at Earth Fare or what you look for in a grocery store. I’ll randomly choose one winner from the comments on Sunday, July 9th. Our favorite thing to buy from Earth Fare is the smoothies!!! My kids love that they can put together their own healthy combinations. And you can’t beat the price!! !